A few days ago (July 18, 2015) I was asked to give a brief talk at an event in Brantford, Ontario—the location of a branch of Wilfrid Laurier University, where I work—on the occasion of Nelson Mandela Day. This is a worldwide movement to encourage people everywhere to devote 67 minutes to volunteer work, in recognition of Mandela’s own 67 years of public service. I was asked to give an inspiring speech, but as an academic I’m more likely to be a worrier than an inspirer. 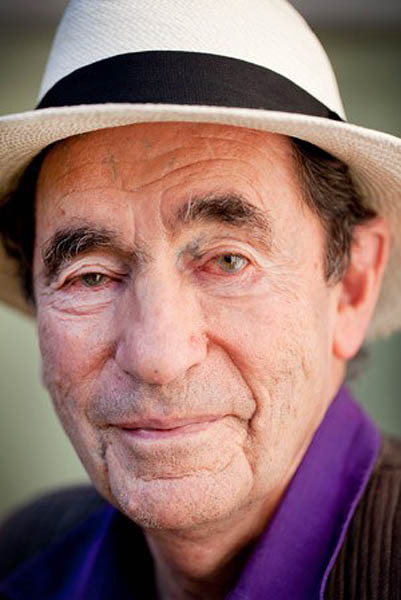 Indeed, in 1994 I reviewed a book entitled Advancing Human Rights in South Africa by Albie Sachs, one of the leaders of the anti-apartheid movement in South Africa (you can find my review in the Journal of Contemporary African Studies, vol. 12, no.2, 1994, pp. 222-25). I doubted Sachs’ contention that South Africa could become a social democratic country, in which economic human rights were protected as well as constitutionalism, the rule of law, and non-racialism (this time protecting non-black minorities rather than the black majority). In preparation for my talk at Brantford, I asked my research assistant, Ms. Jinelle Piereder, to find some statistics for me, on “good news” and “bad news” in South Africa. Here are some samples of what she found: if you’d like her sources, email me at hassmann@wlu.ca and I’ll send them to you. Housing: since 1994, the government has built 1.4 million housing units for more than 5 million people. Electricity: 54-58% of the population had access to electricity in 1993-1996; by 2012 that figure had risen to 85.4%. Clean Water: only 59% of the population had access to clean water in 1994; by 2013 that figure had risen to 94.7% of the population. Education: 98% of children that should be in grade 6 are actually in school, and the percentage of black South Africans age 20 and up that has received no education fell from 24% in 1996 to 10.5% in 2011. Land Redistribution: from 1994 to 2013, 4.2 million hectares of land was transferred through the government’s redistribution program, and 3.08 million hectares was subject to restitution, for a total of approximately 7.3 million hectares. Between 3,712 and 4,813 farms has been redistributed since 1994, benefitting over 220,000 people. Unemployment rate: the unemployment rate was estimated at 20%- 31.5% in 1994, and rose to 24.3% -35.6% 2013, depends on how you define unemployment. Crime: The rate for sexual offenses is 118.2 per 100,000 people; for murder it is 32.2 per 100,000 people; and for kidnapping it is 7.8 per 100,000 people; these are very high rates. HIV/AIDS: 12% of the population has HIV/AIDS, and for adults aged 15-49 the rate is 19%. South Africa does have one of the world’s largest ARV treatment programs, but it was delayed for several years under Thabo Mbeki, Mandela’s successor as President, because of his and his health minister’s disbelief in the efficacy of AIDS medications. Researchers at Harvard University calculated that Mbeki’s AIDS denialism was responsible for 330,000 unnecessary deaths. Informal settlements: In 1996, 1.5 million households lived in informal settlements across South Africa: in 2011 the number was 2 million. This means the government hasn’t been able to keep up with population growth in providing housing. A lot of what’s going on in South Africa today has me more worried than when I wrote my review in 1994. There’s the (almost) constitutional crisis in June 2015. That’s when President Al-Bashir of Sudan, who is under indictment by the International Criminal Court (ICC) for genocide in Darfur, visited South Africa for a meeting of the African Union. Countries that are party to the Rome Statute of the ICC, including South Africa, are supposed to arrest anyone under indictment if they are on that country’s territory. The South African government did not arrest Al-Bashir. In fact, when a South Africa court ordered that he be temporarily detained until it could consider a request to have him arrested, the government helped to spirit him out of the country. There’s also increasing pressure on the free press, according to a recent article in The Economist (June 17, 2015, p. 40). The government pressures the South African Broadcasting Corporation to be biased in its favour, and uses government funds to purchase independent privately-owned media and convert them into government mouthpieces. Corruption is also a growing problem. President Jacob Zuma is reputed to have spent $21 million of public money on his home compound, including a swimming pool. But this may be small change compared to other aspects of corruption, favoritism towards African National Congress (ANC) government supporters, etc. And there’s severe prejudice against the GLBT community. This is no surprise. In recent years GLBT rights have become flashpoints for rhetoric against the West and defense of so-called “traditional” ways of life in countries such as Zimbabwe, Namibia, Ghana, Nigeria and Uganda as well as South Africa. I’m afraid that many black and/or “traditional” South Africans view the South African constitution, with its “rights-for-everyone” approach, as another example of white imperialism. And most worrisome is the prospect of a populist, anti-white government that will impose radical and destructive economic policies, such as land confiscations without compensation and nationalization of privately-owned mines and industries. Julius Malema has led the opposition political party, the Economic Freedom Fighters, since 2013. This party has a large following, despite Malema’s own well-known personal corruption. In 2011, Malema was convicted of hate speech for singing the song, “Shoot the Boers.” Boer is a term for white South Africans. An estimated 3.1 million South African blacks lost their property under apartheid. Many of them were then confined to supposedly “independent “ Bantustans, essentially dumping grounds for “surplus” blacks. Lots of these people are still landless and their children and grandchildren are jobless, without a role and recognition in society. They are fertile grounds for populist demagoguery. Joblessness and lack of social roles also helps explain the high crime rates in contemporary South Africa. I think one of the reasons for these high crime rates is that many of the men who commit crimes grew up under apartheid; a 35-year-old criminal would have been born in 1980. The apartheid government deliberately destroyed the black South African family. Many fathers lived in migrant work camps and rarely saw their children; many mothers had to leave their children alone for 12 to 16 hours a day as they travelled from peri-urban black townships into white areas to work as domestic servants. Schooling for blacks also was inferior. So there’s a portion of the South African population that may be very susceptible to populist rhetoric. Julius Malema knows this. Populists reject constitutionalism, the rule of law, and standard civil and political rights. 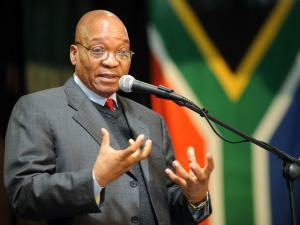 If Malema takes power, I am afraid that the inspiring South African experiment will end in disaster.